Student involvement is an important part of a fun and exciting college experience. It’s easy to feel reluctant — and at times intimidated — about engaging in social events on campus, but what students don’t realize is that getting involved can bring academic and personal benefits both during and after college. At Salt Lake Community College, multiple organizations provide opportunities for students to build relationships with each other, their faculty and the community. The Student Life and Leadership office may be the first place students go to get involved. 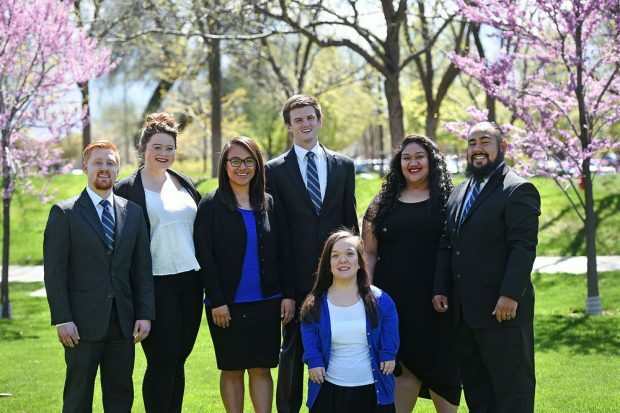 The organization works directly with student government and student clubs facilitate a more positive college experience for all SLCC students. Student Life and Leadership also organizes multiple fun and engaging events held at various SLCC campuses. Clubs and organizations give students the opportunity to discover their strengths and passions. Any SLCC student who joins a club becomes more connected with their school and helps to build a better sense of community within the school. With more than 60 clubs currently in operation, the diverse range of associations and activities help students increase social interactions and develop leadership skills. Events are another way to participate on campus and network with other students and faculty. SLCC hosts all sorts of activities — many of them free — for students to attend. The volleyball, basketball, softball and soccer teams play their home games at the Taylorsville Redwood Campus, while the baseball team plays at the Jordan Campus. These sporting events are free for students who present their OneCard. Students who are more interested in the arts can take in the various student and professional performances at the Grand Theatre and Black Box Theatre or view rotating art exhibits in the Eccles Art Gallery. All of these SLCC organizations post events year-round on the school website, social media and OrgSync. With all of the different activities that take place on campus, it’s time to go out and get involved.